Imagine being in South Carolina. Glasses of cool liquid courage for the sultry afternoon are being passed around, and condensation is moistening your hands. Imagine back roads where peach trees are heavy with ripe fruit. Imagine, at night, in the small town, walking below the stars, telling your companions' stories to light your paths. Imagine making this delicious jelly, to pair with a glass of homemade sweet tea. The idea with this jelly is to smear a bit on toast or to shellac it on mini cherry chai cream pies. Steep 1/3 cup loose tea in 2 cups boiling water for 4 minutes. Pour the tea and lemon juice into a heavy-bottomed 2-quart saucepan set over medium-high heat. Stir in the pectin and bring to a boil. Stir in the sugar. Bring to a hard boil for 1 minute. Stir the jelly for 1 minute. Insert a thermometer into the pot, and once it has reached 220°F, turn off the heat to test the jelly. Remove the plate from the freezer. Spoon a small amount of jelly onto the plate and put back in the freezer for 1 minute. Nudge into it with your finger. If it wrinkles, it’s ready to can. If not, cook it for a bit longer and test it again. Follow the directions for water bath canning on this recipe. Stored in a dark, cool cabinet, these preserves should keep for up to nine months—meaning they will hold you until summer comes again. 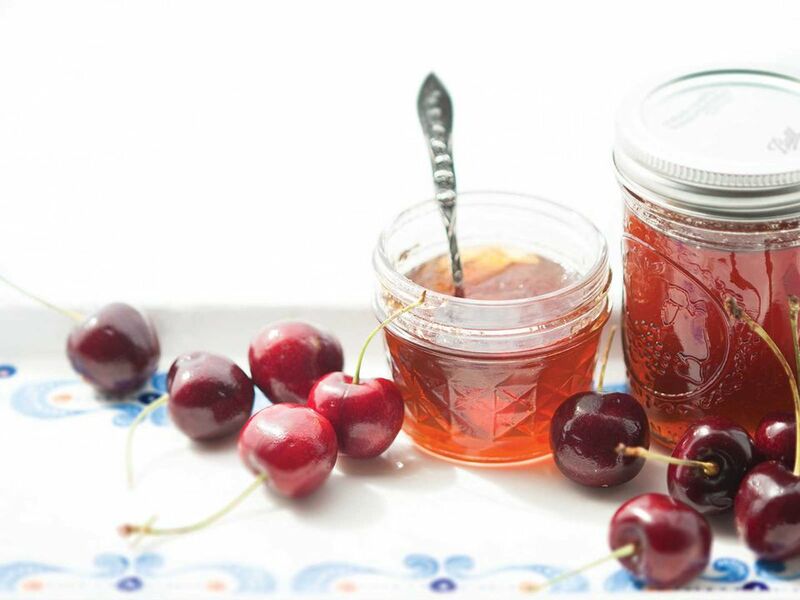 If you opt to skip the canning step, refrigerate the fresh preserves and enjoy them within two weeks.